On January 22, the Mystery Writers of America announced the nominations for the Edgar Awards. 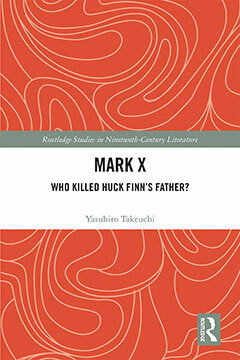 Mark X: Who Killed Huck Finn's Father? (Taylor & Francis – Routledge), by Hokkaido University Professor Yasuhiro Takeuchi was nominated for Best Critical/Biographical work. This is the first work by a Japanese author to be nominated in the Best Critical/Biographical category. The winning nominations will be announced on April 25. Professor Takeuchi teaches American literature, and is well-known for his research into Mark Twain, J.D. Salinger, among others. While he writes in Japanese as well, Mark X was written in English, bringing together previously published papers on the subject and adding new observations. While Professor Takeuchi is not a member of the Mystery Writers of Japan, the nomination of a work by a Japanese author is certainly exciting news for the entire community. Other Japanese works nominated for Edgars include Out by Natsuo Kirino (trans. Stephen Snyder) and Keigo Higashino's The Devotion of Suspect X (trans. Alexander O. Smith) for Best Novel in 2004 and 2012, respectively, and Kanae Minato's Penance (trans. Philip Gabriel) for Best Paperback Original in 2018. Penance, written by Kanae Minato and translated by Philip Gabriel, was published by Mulholland Books in April 2017. This is Minato’s third book, but her second in English following Confessions (2014), also from Mulholland. Minato (b. 1973) made her debut in 2007 with "The Saint," winning a short story award from a Japanese mystery magazine. The following year she rewrote it as the first chapter in Confessions, which became a bestseller and was adapted into a film. Confessions has already been translated into numerous languages including English, French, Italian, German, Chinese, and Korean. The English translation won the American Library Association Alex Award in 2014, and was nominated for both the Strand Magazine Critics Award for Best First Novel and the Shirley Jackson Award for Best Novel. The Wall Street Journal also listed it as one of the ten Best Mystery Books of 2014. The Name of the Game is a Kidnapping, written by Keigo Higashino and translated by Jan Mitsuko Cash, was published by Vertical in February 2017. Keigo Higashino (1958-), ex-president of MWJ, is one of the most popular mystery writers in Japan, as well as in East Asia and the English-speaking world, through titles such as The Devotion of Suspect X. 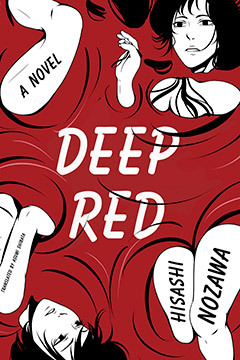 Deep Red, written by Hisashi Nozawa and translated by Asumi Shibata, was published by Vertical in October 2016. Hisashi Nozawa (1960–2004) is the 1997 Edogawa Rampo Prize recipient for his novel Hasen no marisu, and this is his first work to be translated into English. A review is online at Crime Fiction Lover. On October 11, 2016 the Crime Writers' Association announced the winner of the International Dagger as The Great Swindle, written by Pierre Lemaitre of France and translated by Frank Wynne. Six Four, written by Hideo Yokoyama of Japan and translated by Jonathan Lloyd-Davies, was shortlisted for the award, marking the first nomination of a Japanese work for the CWA Dagger Awards. List also includes non-genre works. The English site of the Mystery Writers of Japan (Nihon Suiri Sakka Kyokai) is now open.